I have to tell you a little secret about this gift list for women. 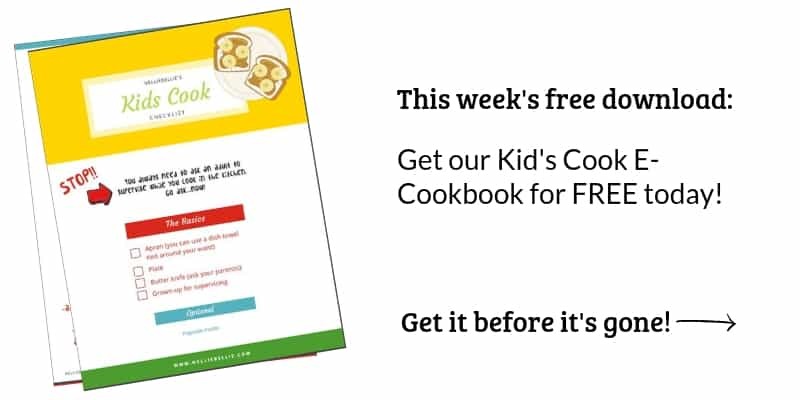 I had my daughter (she works for me writing content and helping with recipe testing) put this post together and didn’t see it until it was time to edit and publish. She totally nailed these gifts! I got sucked down a rabbit hole of checking out each and every product on this list. I want all of them and because they are all under $50, can actually grab a few just for fun! Chances are, so will you (hey, why not wrap a few gifts for under your tree?) and so will the women in your life. These gift ideas are just the cutest!! Just sayin’. Not only are these beautiful, but she can celebrate her birth month. It’ll show her that you care enough to know that fact about her. 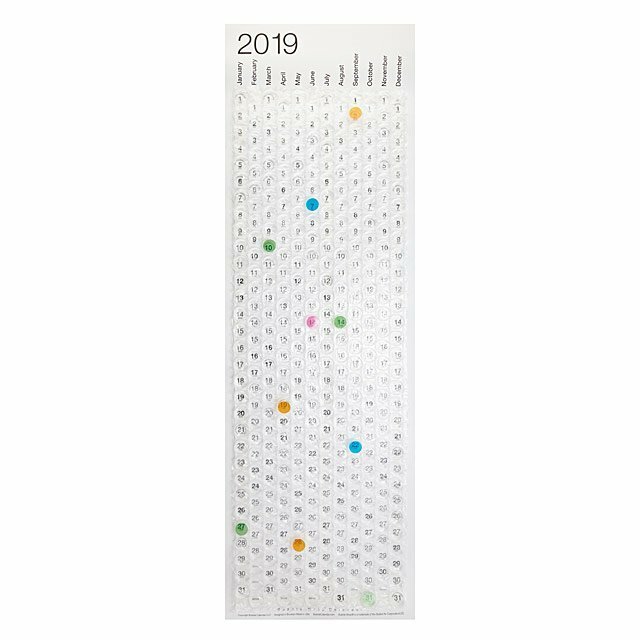 Okay, this calendar is amazing. You get to pop bubble wrap every day. I don’t care how old you get, everyone loves bubble wrap. 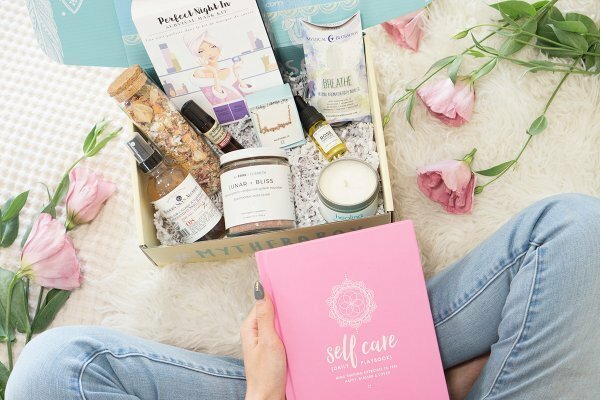 Each box includes researched therapeutic items to reduce stress. It includes one “happiness” activity and 5-7 self-care items. It’s even curated by therapists! Show her that you care about her mental health and stress levels by getting her this! Does she love fashion, or even just dresses? 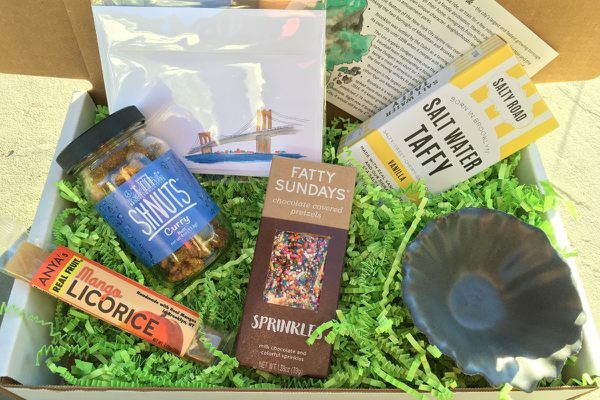 This subscription box is perfect for her! 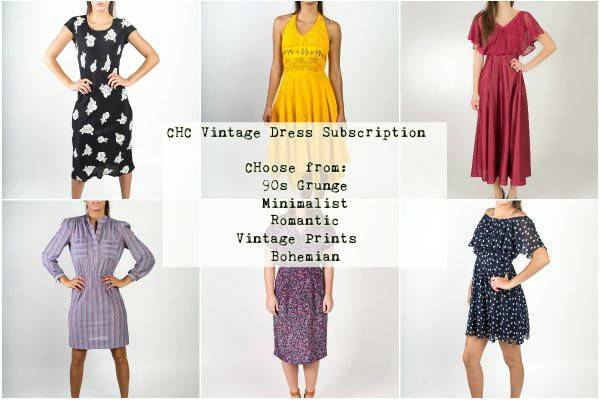 She might not even know how much she needs a new vintage dress each month. Each dress is perfectly curated to her, so she will be perfectly fashionable each month. 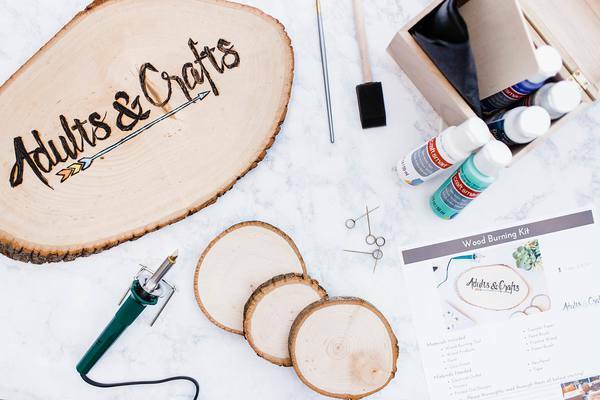 This subscription box is perfect for the ladies who love to craft. You get to learn a new crafting skill every month. Plus, maybe she’ll gift the things she makes to you! She probably has wine glasses. 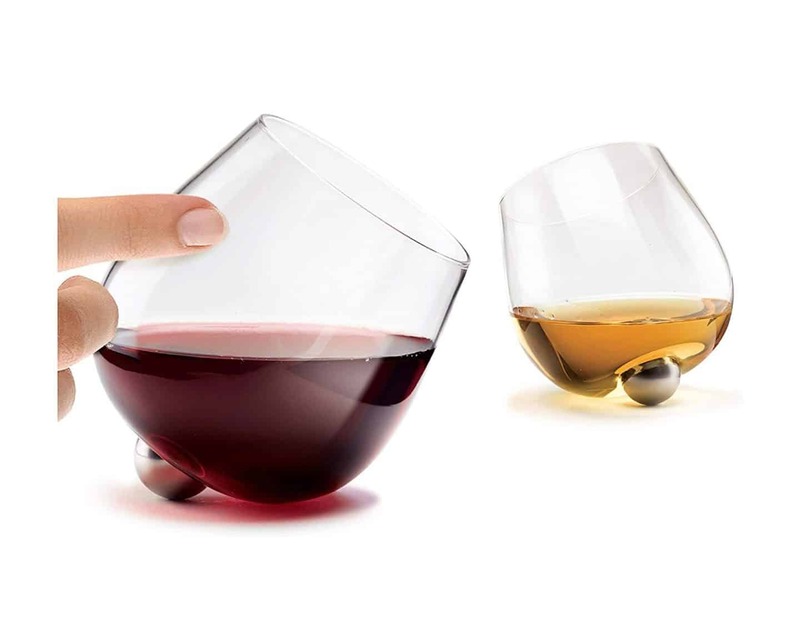 But does she have wine glasses that won’t spill? She will after you get her some! She needs socks. Everyone needs socks. 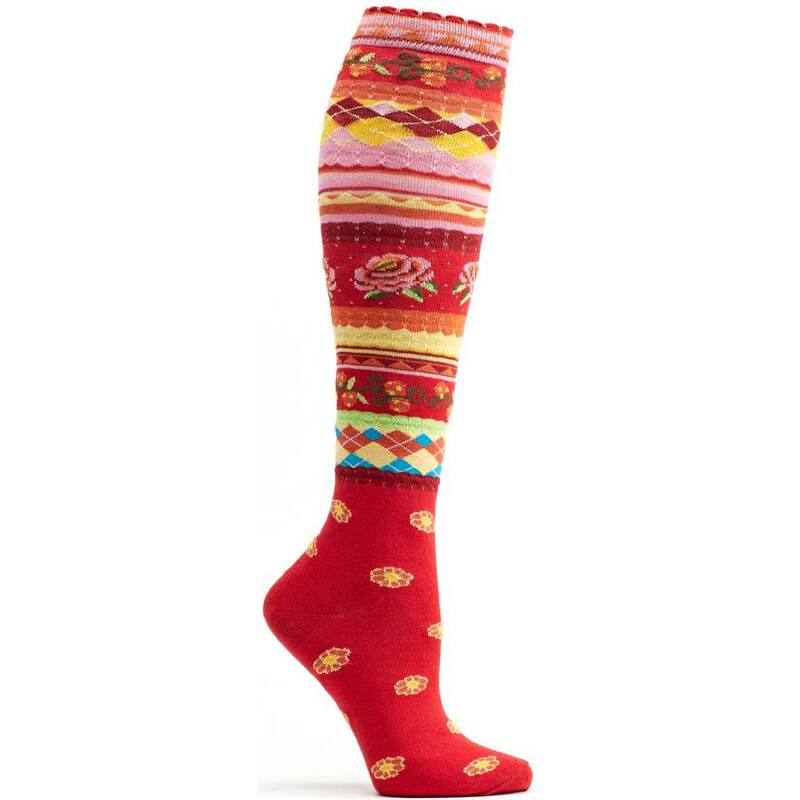 And why not get her some of these super cute ones so she can be happy about her day before it even starts? There’s other styles from Ozone that she’ll love, too. Maybe she needs something to remind her of home, or maybe she just likes her state. Maybe she needs a new dish towel. 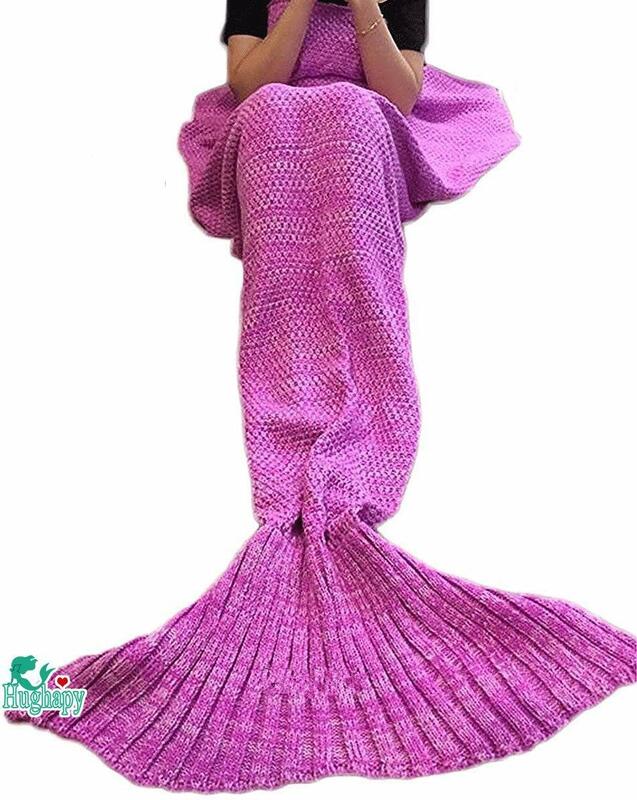 Whatever the case, she’ll love this towel! What’s better than giving her chocolate? Giving her the ability to make her own chocolate! They’re easy to make, and easy to customize to the type of chocolate she loves most. 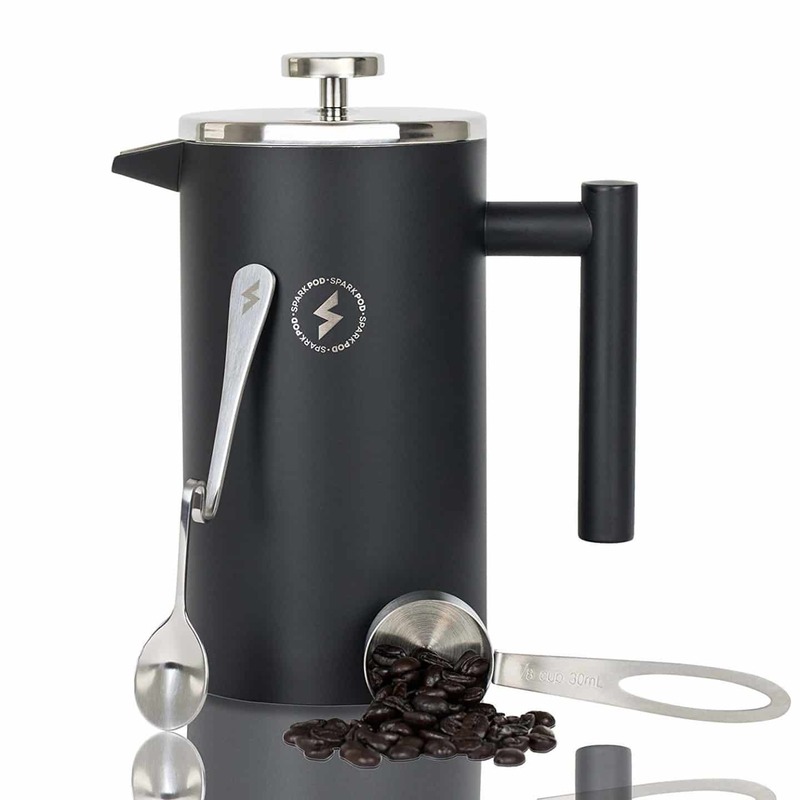 If she likes coffee, this french press will help her make the best coffee in the easiest way. Okay, this thing is so clever we have no idea why we don’t have it already. 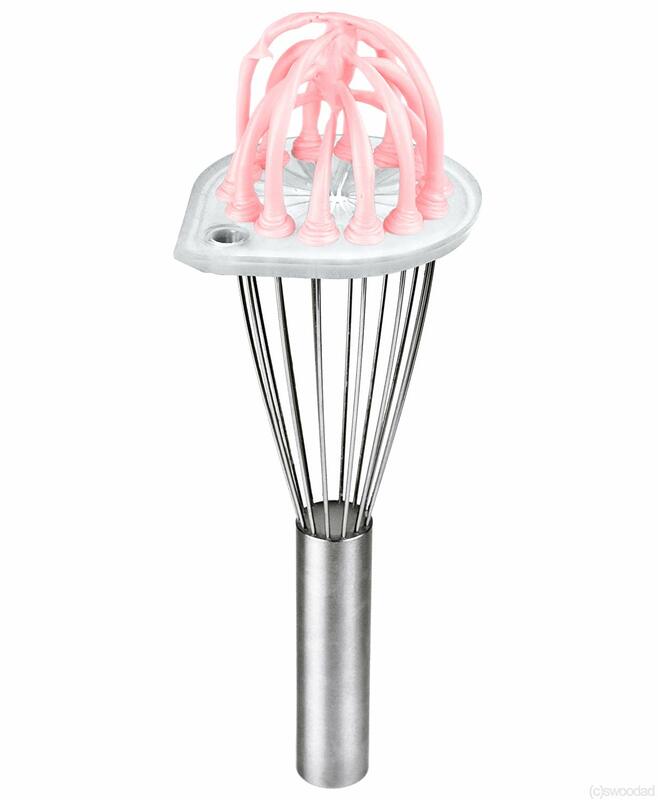 You can use it to wipe both the whisk and the bowl in just a tiny bit of time. This is just too cute. It’s a flower pot AND a speaker. 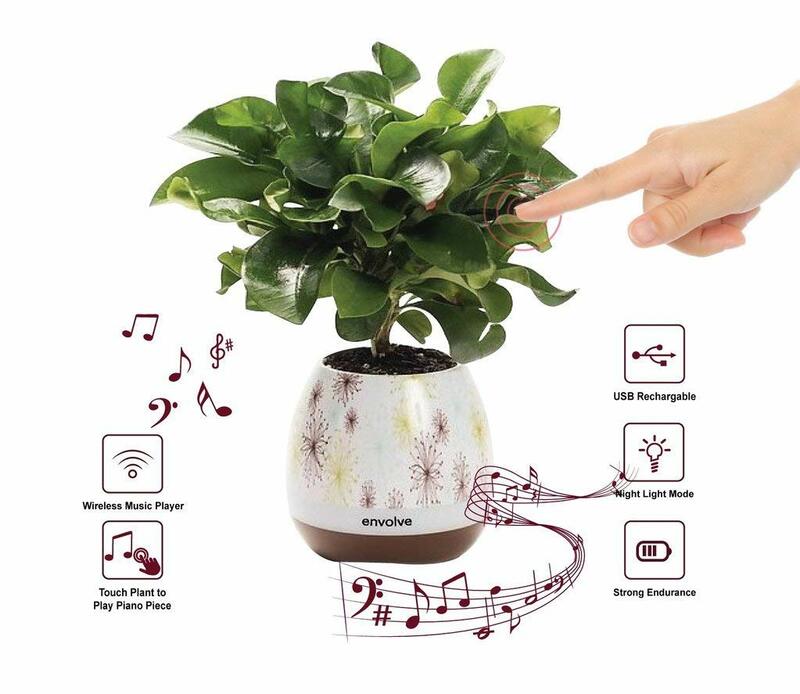 So you can have beautiful decor while you jam out to your favorite tunes. You won’t need to worry about whether your speaker messes up your decor! 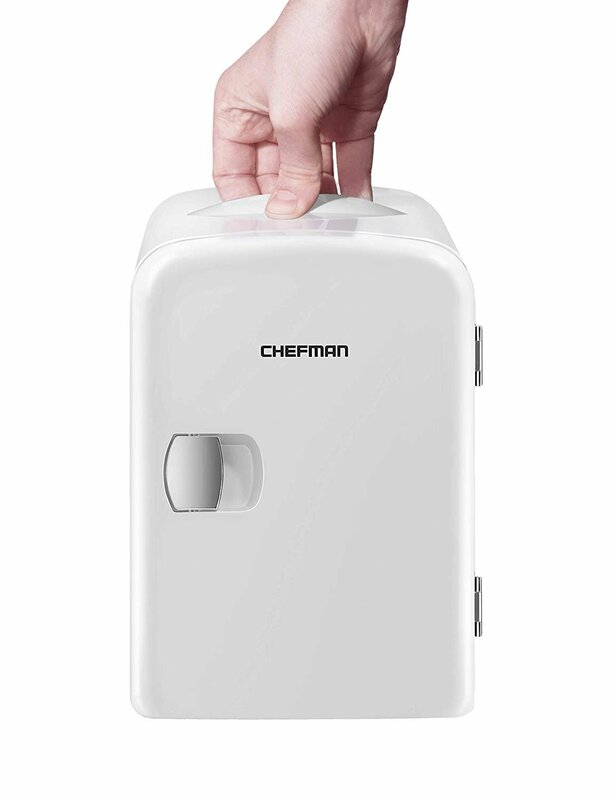 This fridge is portable, which makes it perfect for road trips or offices. It’s very small, so it won’t take up too much space. 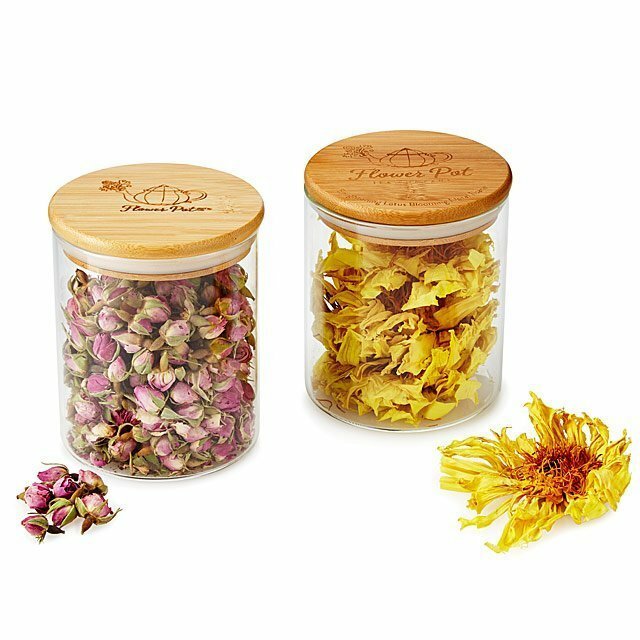 Perfect for keeping drinks or lunches or wine chilled. She might not know she needs it, but she does. Is she clumsy? Does she always spill stuff? 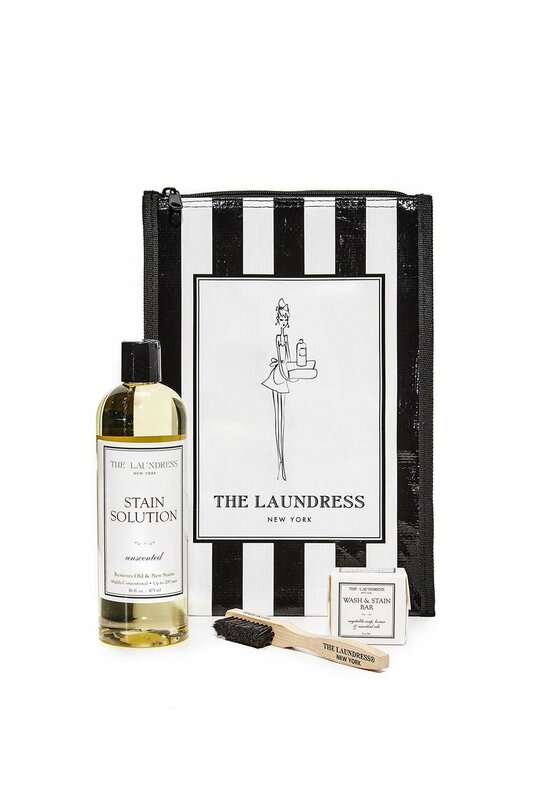 Get her this kit for a nice, classy way to clean up her messes. It’s just really handy to have around. Every woman needs a multi tool so she can be prepared for anything. And what’s better than a multi tool? 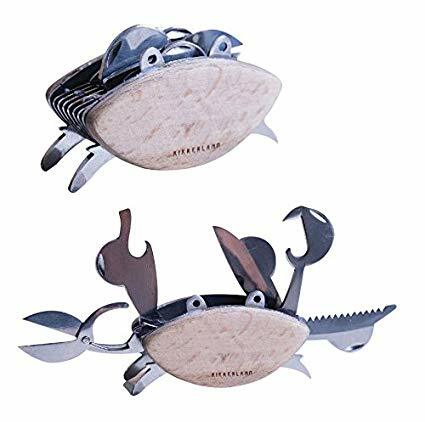 A multi tool shaped like a cute little crab! Coloring is fun, relieves stress, and lets her release her creative spirit! 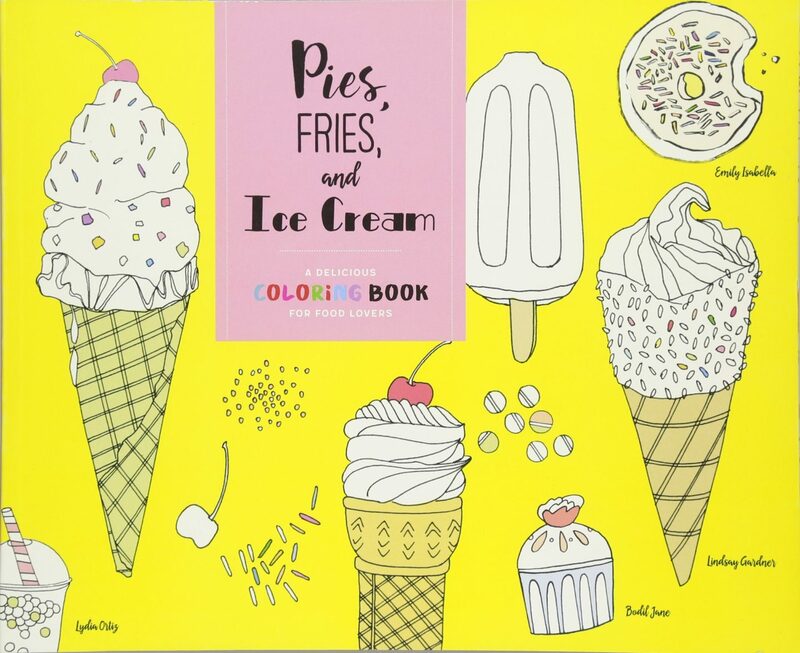 This coloring book specifically is great for those who love food but probably have every single kitchen gadget you could possibly think of getting. Get them a different way to appreciate food, instead! And hey, this one is so cheap you can throw in the markers and wine, too! Be cozy and embrace your childhood fantasy at once! This one is great for the book-reader or movie-watcher! We just love this. Every month she can get items from a different city in the U.S. that lets her explore the city without leaving home! The items come from small, local businesses in that month’s city. 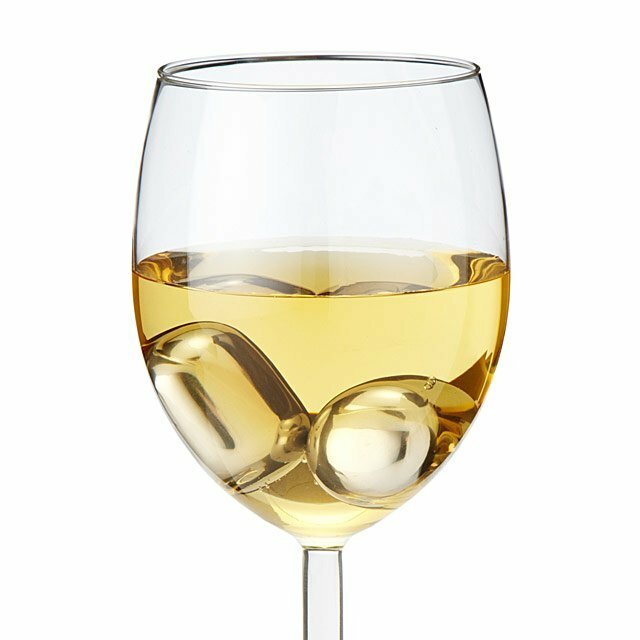 These chilling pearls will let her enjoy her white wine at the best temperature for drinking. She won’t need to worry about wine or waiting for it to chill in the fridge! Everybody loves mugs. 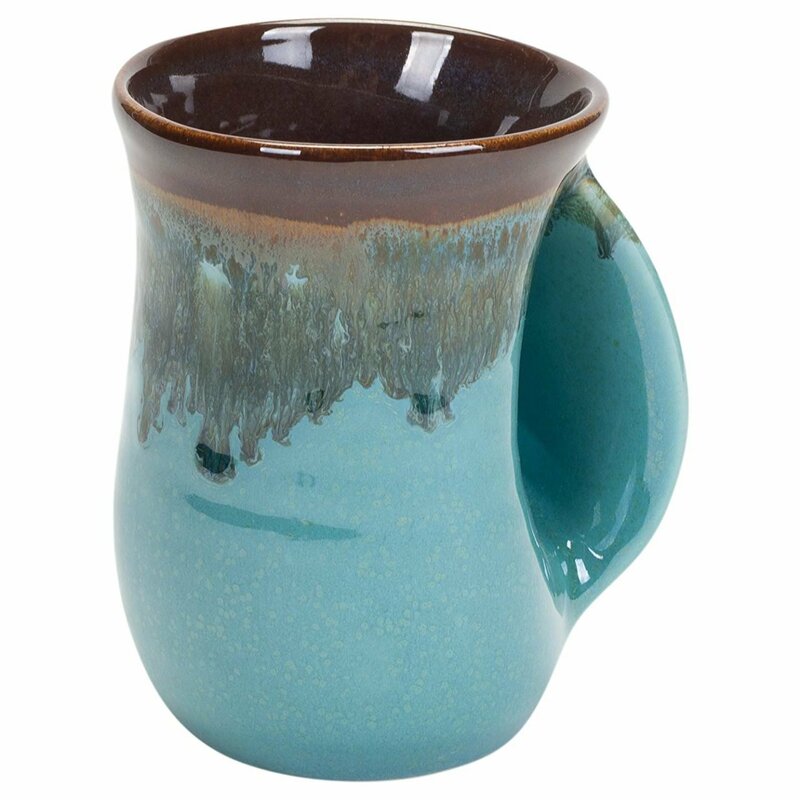 She’ll especially love how this mug helps her warm her hands in the morning! Great for the woman that is perpetually cold! This is a monthly subscription box where she’ll get a beautiful fresh bouquet delivered to her door monthly (or biweekly if you so choose!). The base cost is $45 for 20-25 stems, but if you think she’d like a bigger bouquet you can choose the 40-50 stem option as well for more. Okay, this one is a little over $50 but we think it’s fair. Choose her favorite animal and make a donation of $55 towards saving that species. With it she’ll get a plush, a photo of the animal, an adoption certificate, a species card, and a gift bag! 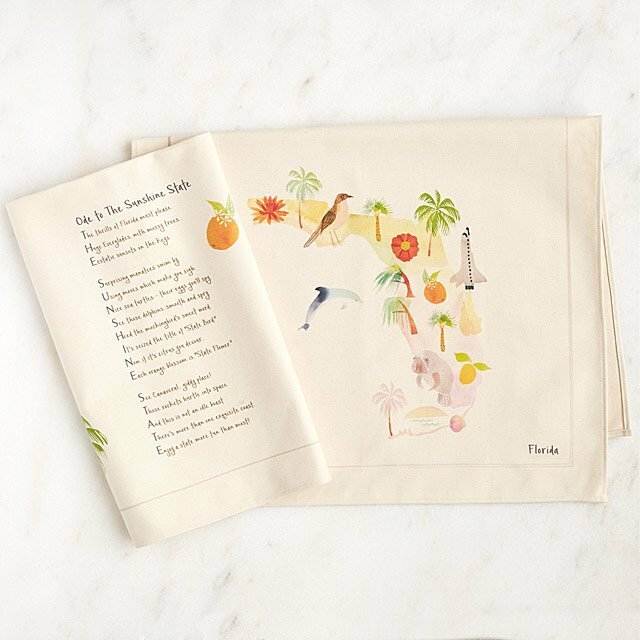 This gift not only will help her feel good about supporting endangered animals but will help YOU feel good about it too! Give it to the girl who loves animals, or the girl who SWORE she didn’t want you to get her anything because really you’re getting the animals something anyway. 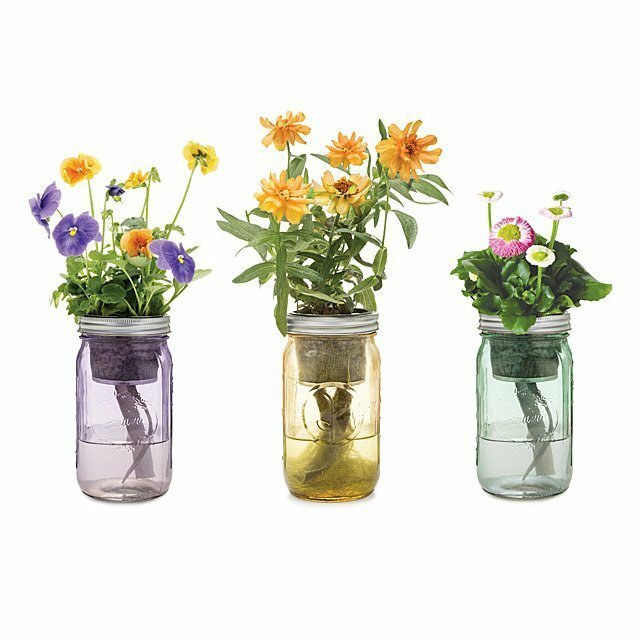 This kit will let her grow beautiful edible flowers on her windowsill. Just think how happy she’ll be when she sees her gorgeous garden. Does she love tea? Does she love pretty drinks? All she’ll need to do is steep these flowers in some hot water and she can have both of those things AND a gorgeous jar of flowers for her counter. 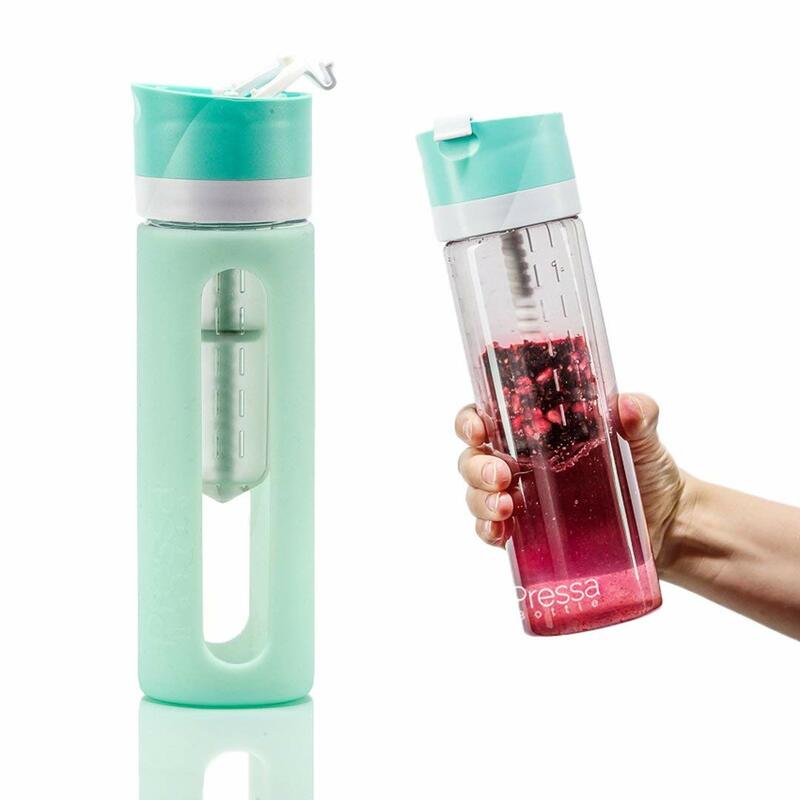 This refillable bottle presses your choice of fruit juice into her water! It’s easy to use, so she can have delicious refreshing water at all times of the day! 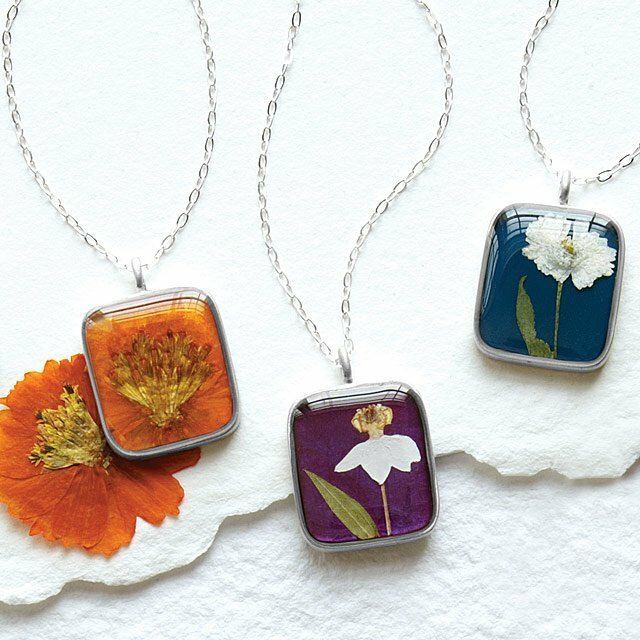 Did you find a great gift idea for that women in your life? I know I did! And one or two for me, as well. The best part is you can do your shopping from your couch and never have to leave your home to get amazing gifts! 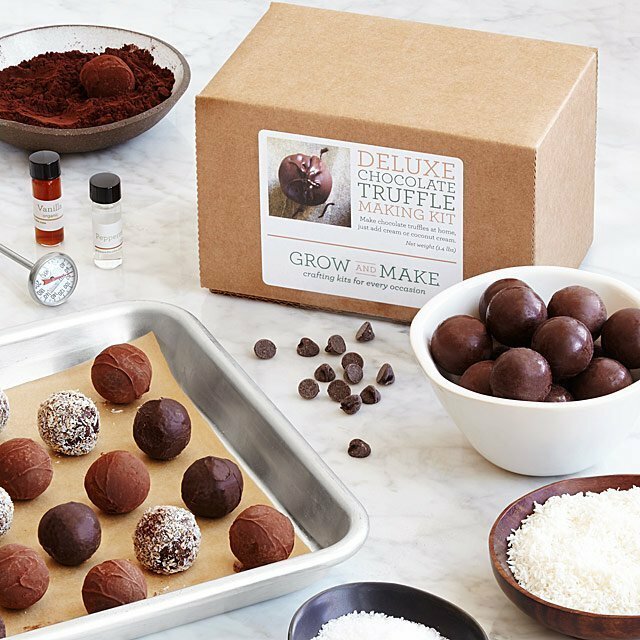 Over 25 Great Gift Ideas for Family and Friends (under $50).